Group Coaching – Yes or No? One-on-one coaching might seem to be the holy grail of business, life, heck even in health coaching, what I’ve found is that new bloggers and entrepreneurs actually prefer a group program. With one-on-one coaching, it’s you and the coach. It’s all about you! You are the focus, your business / blog and what you accomplish and also what you may not have accomplished since the last meeting. That can be a bit overwhelming, especially for a new blogger or mompreneur in the beginning stages of launching a business. Group coaching, on the other hand has a much more social dynamic, and you might just find you actually prefer that setting better. With group coaching you have the opportunity to find a sense of community, that you may not find in a one-on-one meeting with the coach. Or in a public FB group with thousands of other entrepreneurs and you are just one of hundreds of fish in the sea. 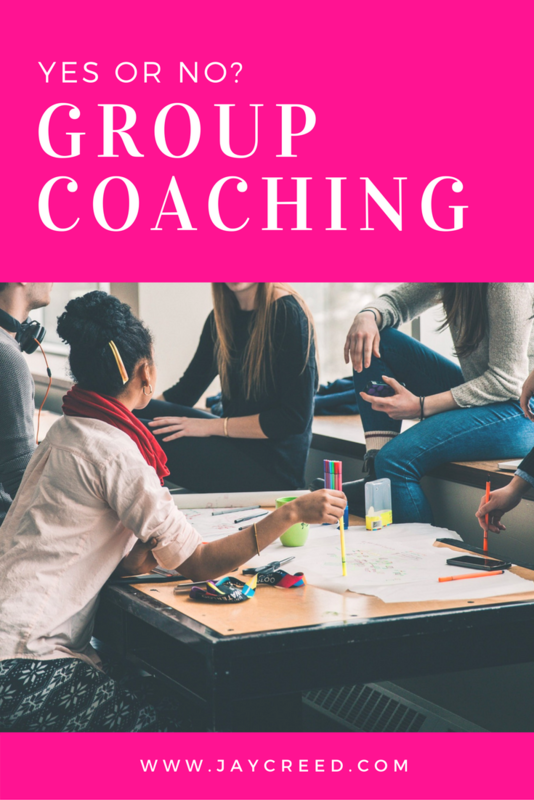 With a group program, you’ll find a smaller group of women in a Facebook group or forum where members can support one another, getting group and one-on-one coaching, gain insight into other business models, and get advice from other woman who have been there. A group coaching program is more like a sisterhood. 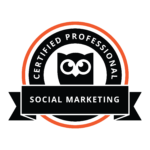 Need to vent about how your blog post is not getting the views you thought it would. Need a shoulder to cry on about your landing page flop? Perhaps, how about a few cheerleaders as you prepare to launch a new project. A group coaching program offer all that, and best of all, with a community of like-minded members, the help and support is actually, helpful. Another win for group coaching programs: the cost. While it might be nice to work with that in-demand coach one-on-one, the face is that many people won’t be able to shell out that kind of cash. Especially if you are just starting out and trying to secure the bag (make money), not give it away. Group coaching programs give you many of the benefits at a fraction of the cost. Finally, with a group program, you are more likely to see a successful outcome. There are many group coaching programs that have proven to change the lives of those who take the course, for example Marie Forleo’s successful “B School” is one. Of course you have to put in the work. Action equals progress. This is something that participants in group groups must keep in mind. Have you joined a group coaching program? If not would you consider joining one? What type of group coaching would you be interest in? Let me know your thoughts in the comments below.